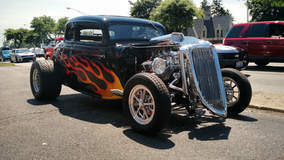 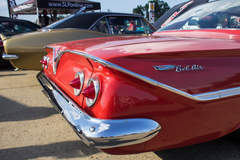 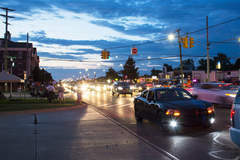 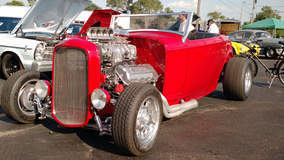 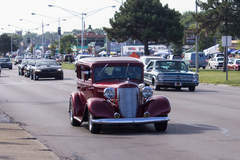 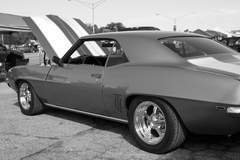 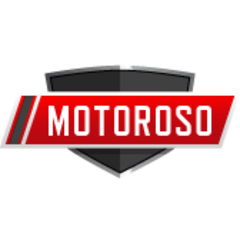 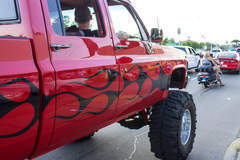 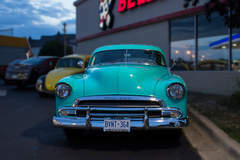 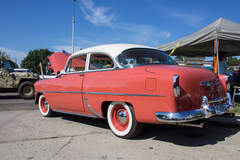 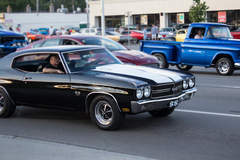 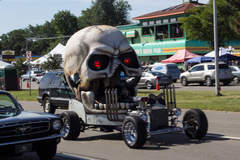 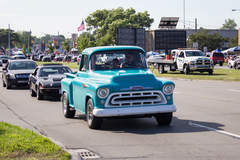 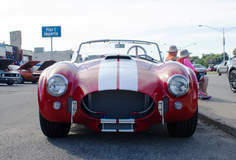 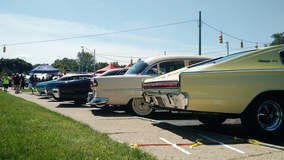 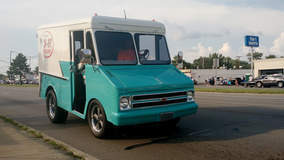 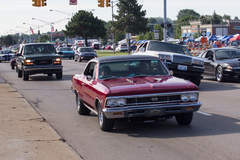 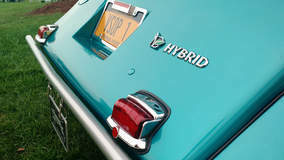 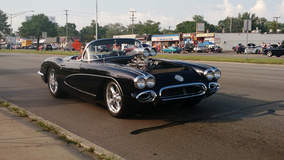 We were out at the Woodward Dream Cruise to check out some of the coolest classics and customs around. 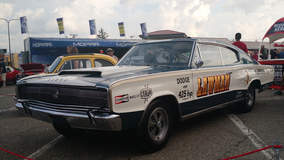 Late model Charger in the foreground. 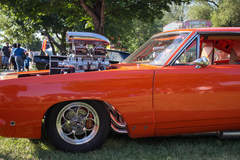 This Charger drag car is powered by a massive V8, complete with supercharger. 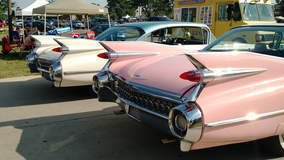 A few classics parked out at the Shrine of the Little Flower church in Royal Oak. 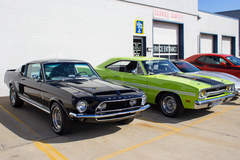 Beautiful black Shelby GT500 parked next to a Sublime Green Plymouth GTX. 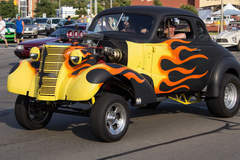 Evil looking 30's Gasser, matte black with flames. 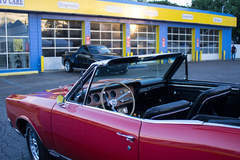 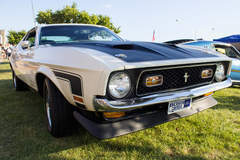 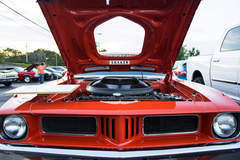 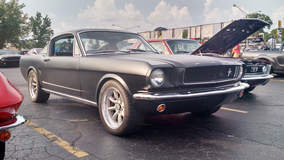 This black on white Mustang was the top of the line small block for 1971, featuring the H.O. 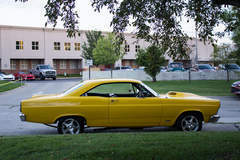 351 V8. 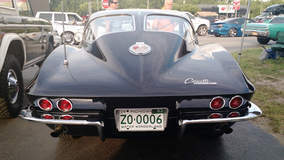 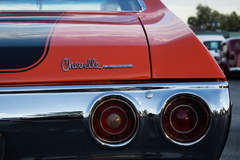 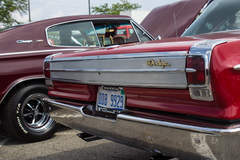 Rear portion of a clean, red Chevy Bel Air. 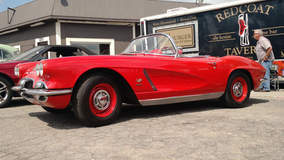 Brand new Corvette Z06 from the Chevrolet Performance setup.